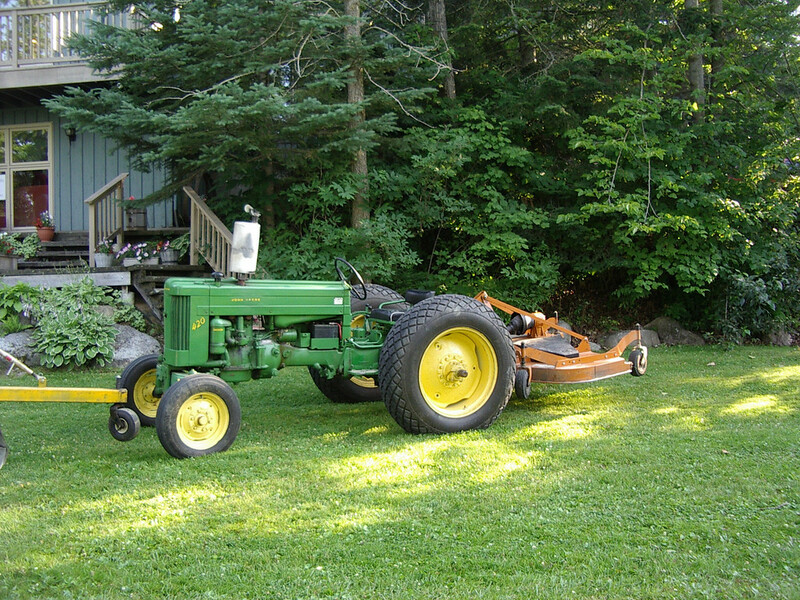 I hove owned this JD 420 Dubuque tractor for 18 years.Â It has been a wonderful tractor for mowing, spraying, and moving boats and trailers about. 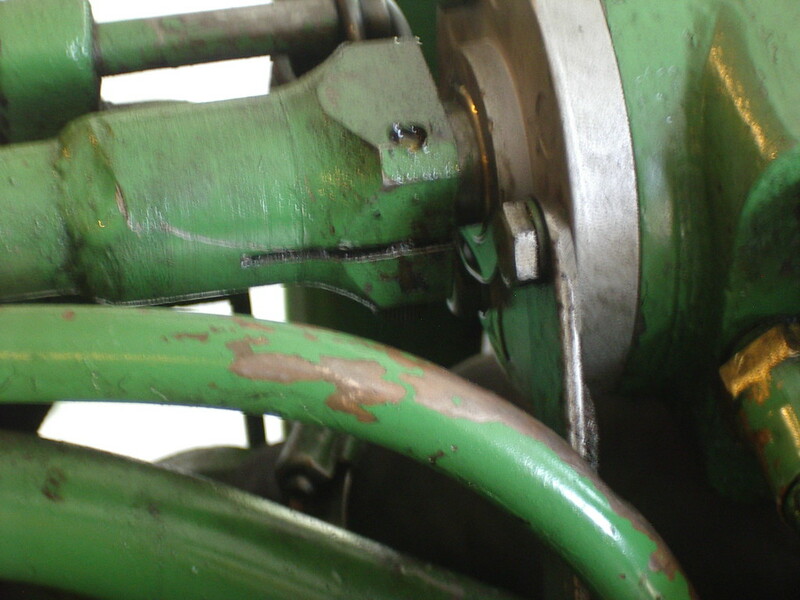 There is however a serious problem with these late Dubuque tractors with power steering.Â This concerns severe leaks developing around the input and output shafts of the steering valve. 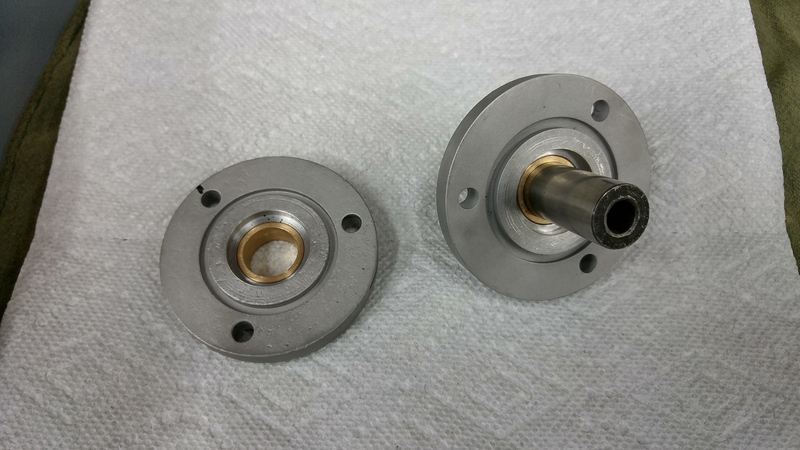 The problem is that the endcaps have no bushings and the seals are just 0-rings and not spring seals.Â Whilst there is a 3:1 reduction in pressure to this valve, this in not an adequate design.Â In addition there is no bracket holding this valve on the 420s, although I believe there is on the 430s.Â The valve is just held by the pressure lines and input and output shafts.Â This results in a continuous shifting of the valve increasing the wear on the endcaps by the shafts. When this problem became serious I changed the seals.Â Improvement was temporary.Â So I changed the seals again and fashioned brackets. This worked fairly well for one summer season.Â I also obtained another valve and used the best two endcaps, but both had significant wear.Â I was told by experts that there were no good endcaps to be had.Â It was clear there had to be a redesign of these endcaps or the tractor would have to be parted out, as it was now useless. 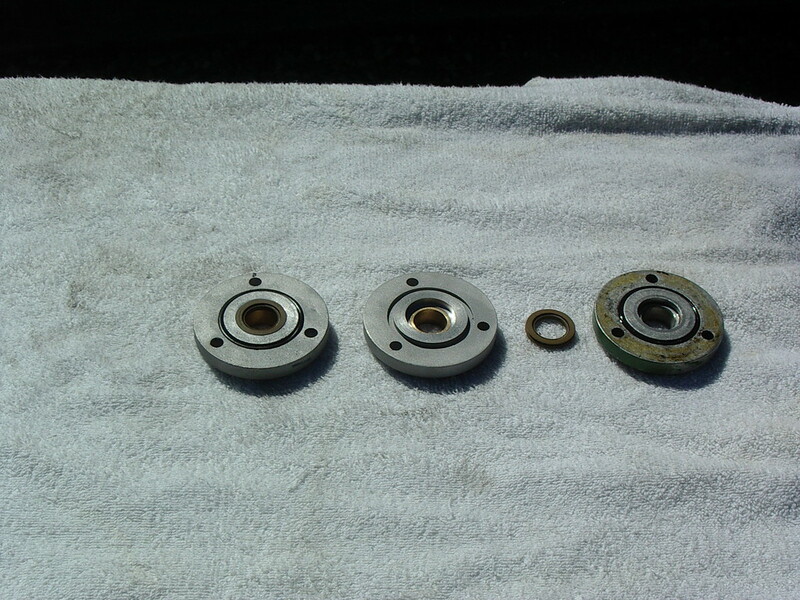 So I had International Seals of Texas make me some small hydraulic spring seals with a large pressure margin.Â I wanted these seals over designed.Â I had Randi Torvinen of Torvinen Machine in Menahga MN machine the endcaps to take a bushing and the spring seals. 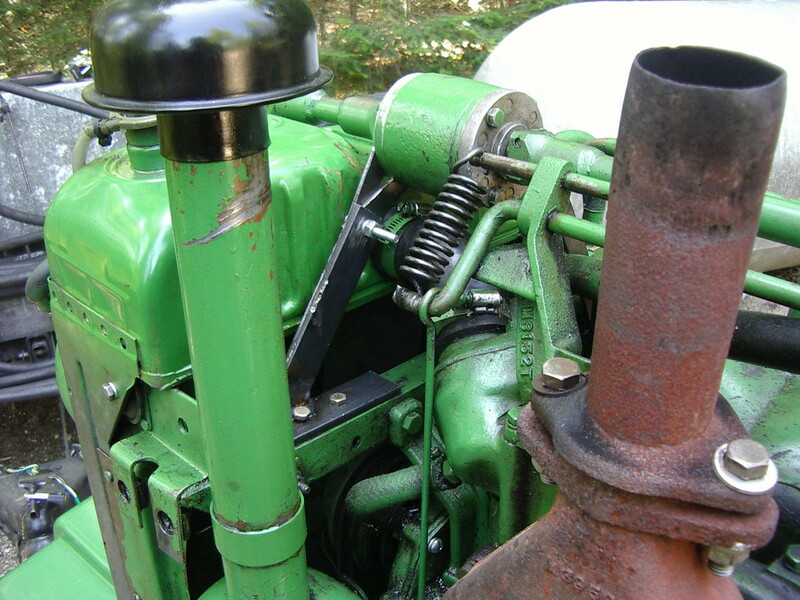 This has been a 100% successful solution to this very serious and troublesome problem with these steering valves.Â The hydraulics have never worked better on this tractor since I have owned it. 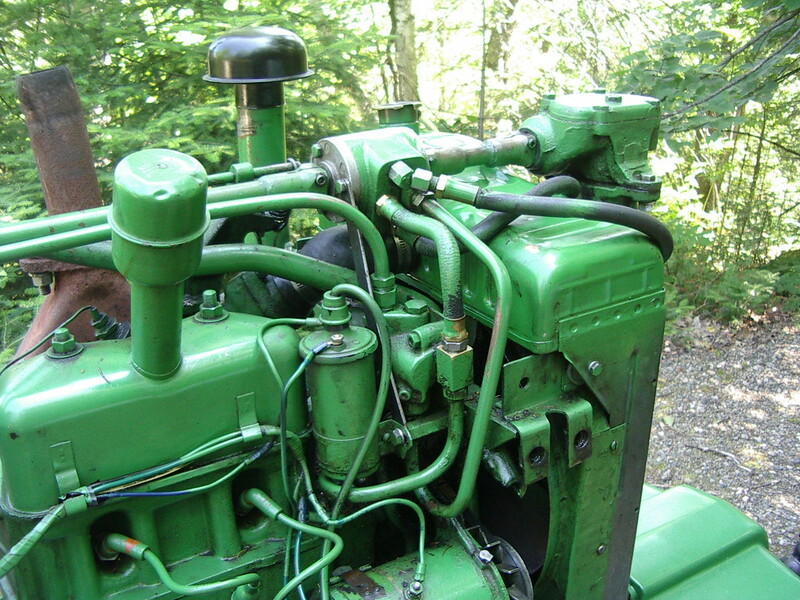 There are zero leaks and the pressure stays up no matter how long the tractor sits.Â As soon as you start the tractor, the hydraulics are instantly available.Â There are no delays.Â It lifts the mowing deck even on the lowest idle instantly. For those of you having this problem with the valve, which I understand is common, this is a complete and certain solution. I should state that any of these tractors I have seen in recent years have been leaking from this valve worse than mine ever has. I’m proud to present this solution to a problem that has led, and will lead to more of these fine tractors being parted out.